Whoever said a love of music starts in childhood obviously had never heard a 2-year-old play a cat-shaped piano, with loud “meeeoow” sounds replacing the melodic plunks and plinks of a piano. And for reference, in this case more (keys pressed at once) is NOT better. I can never look at a cat the same way since my daughter received the kitty-keyboard as a very thoughtful birthday gift from none other than Grandma. Incidentally it’s from the very same Grandma that’s always grumbling under her breath about karma. 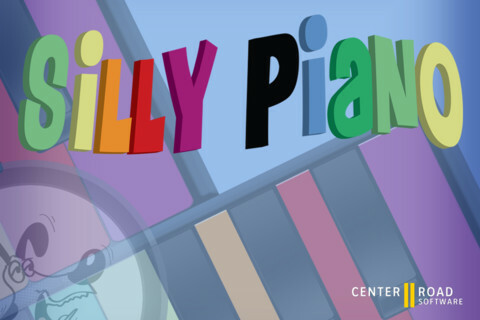 The Silly Piano! app is much more advanced than my feline friend, but the idea is the same – to teach kids the fundamentals of music in a fun and engaging way. 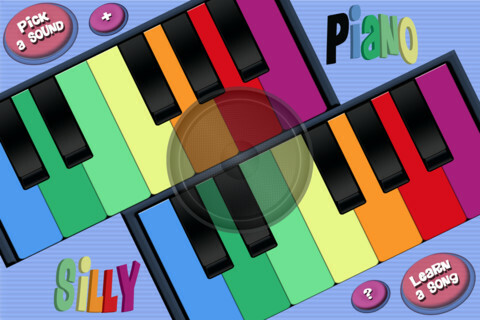 The interface is a piano but colored by a vibrant rainbow of colors. There are 13 distinct sounds that can be played alone or blended with a traditional piano sound. Choose to hear a dog barking, a car beeping, or one of two different body functions – I’ll let you use your imagination. Freestyle play is fun and there are three drumbeats that can play behind the music to add a beat. Learning to play is made easy too with a choice of 10 favorite classic songs like “Happy Birthday” or “Amazing Grace”. Because the keyboard is true-to-life children can easily take what they learned to play and seamlessly transfer it to a real keyboard or piano. I happened to read the iTunes description on this particular game before playing it so I was fairly warned about the presence of “Infrequent/Mild Profanity or Crude Humor”. This bumps the game up to a 9+ rating, meaning that your 5-year-old may start imitating certain noises that should never be imitated if you can’t hit the iPad’s home button before he comes running into the room. At $0.99 this is a very reasonably priced app. 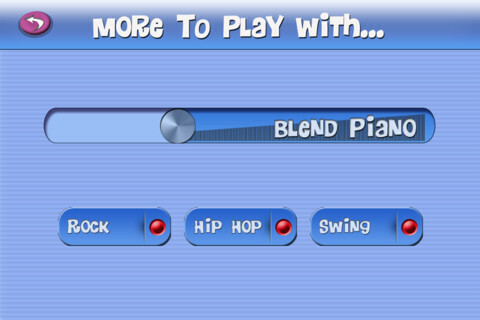 There is no shortage of keyboard simulators on iOS – some apps are realistic and some are just plain fun, like the Silly Piano! app. Just don’t discount the music education that’s hidden behind the silly noises; your child could become a prodigy by playing “London Bridge” comprised of doorbell sounds.